Golden Gate Organics brings delicious seasonal organic produce, grown in the wider Bay Area foodshed, to your home and business. For us, it’s about wellness. Wellness of our bodies and minds, of our farmer’s fields, and of our communities. Nourishing fruits and vegetables, along with our care for our customers and clients, is our philosophy for an exceptional produce experience. From this we have humbly earned a regionally trusted reputation. But how did we get here? “Hi!” I am Golden Gate Organics Founder/CEO, Corey Tufts. (I'm the one on the right in the picture above kissing my lovely wife Jen). When I was wrapping up my Coast Guard military career in 2012 I was excited to begin a new chapter of my life by founding my very own wellness venture: Golden Gate Organics. With no formal business education I set sail anew with the goal to put my mark on history and do what I could to promote harmony between people and the planet. And, what I lacked in business experience I eagerly made up for with good old fashioned entrepreneurship and a focus on small town customer service and integrity. Working out of my garage on the island of Alameda, it was an uphill struggle for me, a small-town military veteran from northern Michigan, to gain traction in the hyper-competitive local organic produce home delivery market that is the Bay Area. 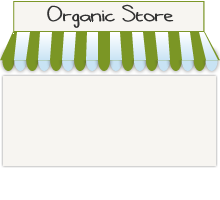 During that time, GGO began selling organic groceries and we rebranded ourselves as “The One Stop Shop For Your All Organic Lifestyle.” One venture capital consultant I met with thought it was a wonderful idea. Realistically though, saying I found it “challenging” competeing with the likes of corporate giants like Safeway, Whole Foods, and, Amazon would be an understatement. As a transplanted veteran with meager resources and no local network Golden Gate Organics and I struggled for years. However, as time went by perserverance begain to pay off. Golden Gate Organics and I have successfully gained an excellent reputation with many happy and loyal customers in the Bay Area. Around 2016, while carefully seeking mentorship, I had a chance encounter with Helge Hellberg. Helge, formerly the Executive Director of Marin Organic, helped lead Marin County in becoming the first organic county in the United States. More importantly, Helge shared my passion for supporting sustainable organic farming and customer respect, or care. Under Helge's mentorship we began to realize the full potential of Golden Gate Organics by ushering GGO away from an imperfect organic grocery delivery service. Instead we would focus on our roots by simply delivering an exceptional produce experience with love and care. Just as I had initially set out to do. I am eternally grateful to my friend Helge for showing me how to create alignment in my life and work. With a reinvigorated, confident commitment to providing an “exceptional produce experience” to our customers, and sourcing as local as seasonally possible once again, Golden Gate Organics began to blossom. Unexpectedly, new opportunities began opening up. During that time I also earned my degree in Philosophy from U.C. Berkeley, met the girl of my dreams, and had two amazing children. I am proud to be a Bay Area father, husband, leader, philosopher, sustainable entrepreneur, writer, business consultant, motorcycle rider, skydiver, or otherwise useless Millennial. With this, GGO began to develop a professional wellness experience program for businesses. Now we could build on our excellent reputation for quality and care for residential customers while also helping local businesses achieve their wellness goals too. All the while suppporting and directly contributing to local sustainable farming. From corporate farmers markets, health & wellness fair exhibits, speaking engagements about sustainability and organic farming, and, most importantly; my passion to be the best organic produce home delivery business in the Bay Area: This is the Golden Gate Organics I am proud to be today. Now, please enjoy 15% off your first four home deliveries of seasonally local organic produce with coupon code “story." If you are interested in any of our wellness services for business please reach out to us through the "For Business" page on our website. Thank you for reading the story of Golden Gate Organics.